The age-old fascination of a timeless material in 40 years of design: Today Fiam reaches a milestone in its history, confirmed as a global icon of glass culture. This dream came true in 1973: to transform glass into a star of the design world, and behind the dream, an enthusiastic entrepreneur from the Marche region, Vittorio Livi. Transforming an element, until then considered an accessory in a matter of choice for contemporary design was a challenge that thrilled major Italian and international designers. Thanks to them, and the wisdom of master glassmakers, the story of Fiam still represents a priceless heritage of people, ideas and achievements. So today, in its second generation, the Livi family continues to cherish and nurture a tradition made of identity and memory, commitment and passion. Past and future, handcrafted tradition and technological innovation, creativity and industrial research come together in the reflections of glass and find the perfect shape in timeless creations. As milestones on an imaginary time line, Fiam products have written important chapters in the evolution of international design over the past four decades, and today continue to open new scenarios for the future. After the consecration of Italian design at the MOMA in New York with the exhibition “Italy: the New Domestic Landscape” (1972), comes the decade of the great experiments, which shape the new domestic landscape. 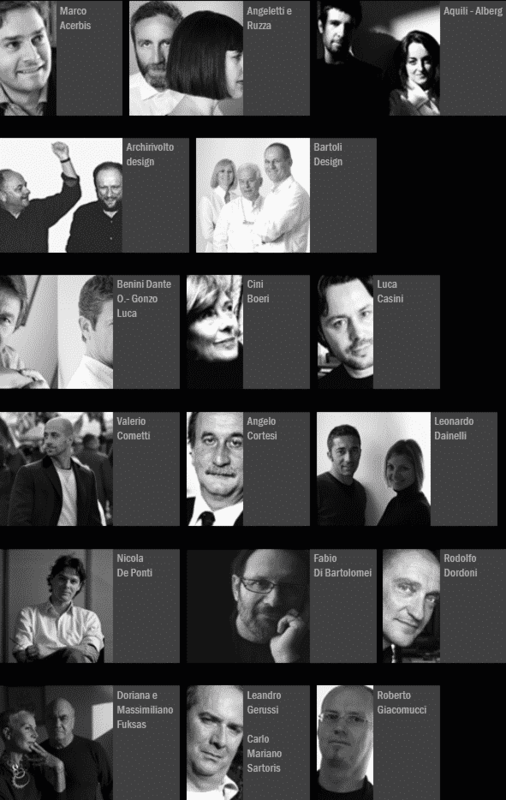 Fiam begins with important projects entrusted to the creativity of Italian and foreign designers who are challenged to grapple with glass by adopting new approaches. 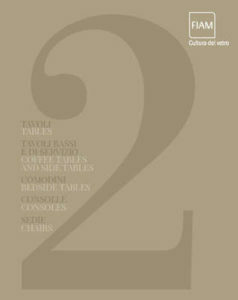 In recent years RAGNO was created, the first monolithic table, designed by Vittorio Livi: a revolutionary design for a table of four bases made from a single sheet of glass. Technological research on the flexibility process makes Fiam the industry leader and model of excellence. From the experiences of the Alchemy and Memphis study, shapes and design languages emerge outside the rules, but essential to bring to the fore a new generation of designers. Among these, there are many names that work with Fiam, consolidating their worldwide fame: Danny Lane, Makio Hasuike, Giorgetto Giugiaro, Massimo Iosa Ghini, Enrico Tonucci, Elio Vigna, Enzo Mari, and Cini Boeri. Globalization is complete, and takes the form of a mix of cultures, thanks to the web and the rapid movement of people and things. 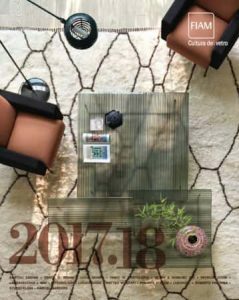 Made in Italy becomes the protagonist of the new economic development on international fashion and design markets and Italian furniture set the trends. 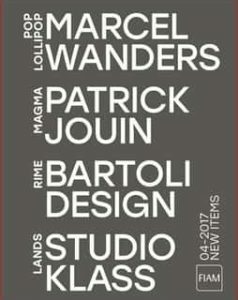 Fiam strengthens dialogue with the leaders of design: Philippe Starck, Ron Arad, Christophe Pillet, Setsu and Shinobu Ito, and the Italians Rodolfo Dordoni, Fabio Di Bartolomei, Prospero Rasulo and Roberto Semprini who enrich the collections of Fiam products intended to enter each country’s home. Fiam is a global brand. CAADRE was founded following the company’s meeting with Philippe Starck: for the first time glass is combined with the mirror element transcending its identity. Processing the material changes it, enhances its essence, makes it a picture frame, designed to enclose the image of beauty. The decade’s most recent Fiam history has represented an important chapter in the evolution of the brand’s new image, restyling the brand and corporate identity, new business strategies, with the integration of the line Liv’it by Fiam, and new channels of communication opening to the web 2.0. While reinforcing historic collaborations, Fiam’s world is enriched by faces and names: Stefan Schoening, Xavier Lust, Vico Magistretti, Dante O. Benini and Luca Gonzo, Paolo Rizzatto, AquiliAlberg, Marco Acerbis, Roberto Paoli, Ilaria Marelli, Marco Romanelli and Marta Laudani, Giopato&Coombes, Mario Mazzer, Paolo Lucidi and Luca Pevere including many others. The last great 2012 Fiam success bears the signature of Dante O. Benini and Luca Gonzo, the LLT collection, inspired by the lessons of the master Frank Lloyd Wright. This is the result of extensive formal research but especially technology that once again brings Fiam to push the boundaries of glass design. FIAM was born from one man’s passion for glass. glass would become a unique star in the world of fine design, being used to produce items of furniture which would be astonishingly solid yet beautifully transparent; design items which would rise above the age of their production, untouched by the passing years, spaces and fashions. 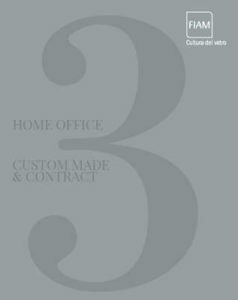 From its earliest days, FIAM immediately focused on innovation as the driving force for achieving its business and cultural aims. This innovation would proceed on three fronts. The success of the complex process by which glass is transformed into the finished product relies on the experience of skilled craftsmen, who carry out various operations: silver-coating, bending, decoration, fusion, engraving, grinding and carving. A glassworking professional, capable of predicting, quantifying, controlling and finding the right alternatives in every single case. During the bending process, the master craftsman’s experience and his ability to work in perfect harmony with the furnace operator are fundamental for controlling the shapes produced and the success of the operation. In spite of the state-of-the-art technology used to forge it, the finished item is unique: a crafted work of art. Therefore, at FIAM the master craftsman is considered just as important as the designer in the piece’s creation. FIAM sees a designer’s ability to take risks with shapes as a welcome challenge to its technical expertise. The company has even created one-off technologies to produce some pieces. For example, in 1982 Massimo Morozzi came up with the design for the Hydra coffee table, with very pronounced shapes it would be difficult to obtain with the machinery then available. So FIAM invented a special machine (called the Paser) capable of pushing water and abrasive powder to a speed of one thousand metres a second – three times the speed of sound! And to produce the Illusion table by Philippe Starck, FIAM had to create a plant capable of processing glass at one thousand degrees. Hand-in-hand with its innovation in design, Livi has always invested heavily in innovation in technology. Industrially produced glass reaches FIAM in the form of sheets. After the initial cutting, grinding and milling stages, the sheet is ready for bending, a process which starts with preheating to 630 degrees. It is fundamental for the glass’s temperature to be absolutely uniform during this stage, because even tiny differences cause the sheet to break. At less than 600 degrees, the vitreous mass crystallises and can no longer be moulded, while at a higher temperature it may become too free-flowing. To deal with these problems, over the years and as technology evolved, the small natural gas-fired bending furnace used to process the glass was replaced with another, larger, oil-fired one, and then by another powered by electricity, to guarantee better control of temperatures and the transformation of the heat from static to dynamic. Instead of refractory bricks, nowadays insulation is provided by high-tech ceramic insulating tiles of the kind also used on the space shuttles. Originally made from clay, the die is now produced in thermal steel. Fiam has now reached its seventh generation of glass bending plants: the master glass craftsman is now assisted by ground-breaking technologies in terms of both instruments and materials, enabling the company to rise to the increasingly challenging demands of the Designers who wish to work with this peerless material. In 2015 Fiam presents Veblen. 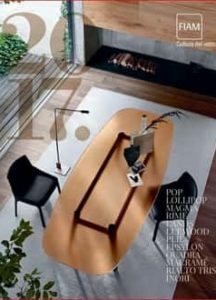 In the international world of furniture for several years a new trend has been developing which is elegantly warm and recognized as “luxury”, aimed at a new generation of rich people growing in geographic areas where relevant economic development are going on and also in large metropolitan areas. 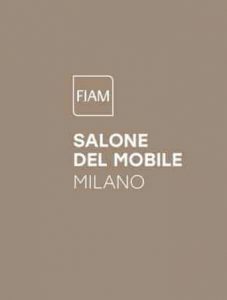 To intercept this new clientele, at Salone del Mobile 2015, Fiam presented the new collection Veblen, a line of simple elegance where glass, in colors bronze and smoked grey is contamined with valuable interventions of materials such as leather, wood, metal and others or even exploits other technologies that allow greater value and preciousness to the range. According to ancient legend, handed down by Plinius the Elder, the discovery of glass occurred 5000 years before the birth of Christ through fortuitous invention by some Phoenician merchants. Returning from Egypt, one night they stopped over on the banks of the Belo River and lit a fire, placing on it a few of blocks of saltpetre. The next morning they noticed that instead of the river sand and sodium carbonate, there was a new material, namely glass. It was precisely the Phoenician merchants that introduced glass objects and techniques throughout the Mediterranean basin. The first treatise on the glass-making technique was written, in cuneiform, in about 1000 BC. Historically there were four techniques used in the production of glass, each with numerous more or less complex variations: friable body or rod moulding, pouring into open or closed moulds, free blowing, and blowing within moulds or forms of various types. The earliest method was “friable body” moulding, where the glass material, supported by a mould that was later destroyed, was hot-moulded. Next came “pouring”, a technique involving the winding of threads of molten glass around a rotating friable body that acted as a support. Another type of pouring involved the covering of the friable body with silica and then immersing it in the crucible containing the molten material. The blowing technique was discovered in Palestine in the 1st century BC; at about the time when the Romans developed a method for blowing glass into moulds, thereby increasing the possible range of items they could produce. The artisan gathered a quantity of molten glass onthe end of a hollow metal rod, called the blowpipe, and by blowing he created a bubble or bolus. The freshly blown bubble was then shaped and left to cool, often in a cup-shaped, open mould, and then blown again at the glass blower’s workbench. While being blown, the glass was manipulated with wooden spatulas and pincers, or cut with suitable tools in order to achieve the desired shape. Another important innovation that took place in the 1st Century AD involved the use of colour: multi-coloured, translucent, bright and frosted glass started disappearing, making way for natural coloured glass. In this way, transparency was achieved, which remains one of the main features of this material. With the fall of the Roman Empire, many handcrafts came to a halt, but the glassmaking art continued to flourish in the East. Between 500 and 600 AD a new process was invented for making glass in fl at sheets, by blowing a ball of glass that was subsequently enlarged by rotation inside the furnace. In Mesopotamia, around the year 1000, experiments were done with gilding and engraving on glass. It was at that time that first Venice, then the island of Murano in the Venetian lagoon became one of the most important centres for glass production in Europe. Around the year 1200 we see the invention of a new process for the production of fl at glass, which was done by blowing cylinders; using this method, it was possible to obtain sheets measuring up to 1×3 metres. This period saw the appearance of large windows in the gothic cathedrals, with the glass pieces held together by lead strips. According to an ancient and deep-rooted tradition, handed down by word of mouth, the glassmaking art was introduced around the year 1130, at Altare (Liguria), by a Benedictine community who came originally from Provence. The Benedictine monks, struck by the natural conditions in the area (the Apennines were abundant with rock rich in quartz and white feldspar and forests), which were ideal for glassmaking activities, apparently called for a number of specialised craftsmen to come from France. At that time, the art of glassmaking was closely connected to the needs of the monasteries, which needed glass for the abbey windows, chalices, urns and shrines. At the end of the year 1400, at Altare (Liguria), the first “University of the Glazing Arts” was established, aimed at spreading the culture of glassmaking. In 1700, the worldwide prominence that Venice had enjoyed for centuries started to wane due to the preference shown in Europe and America for two specific types of glass: lead glass and potassium glass, which quickly gained prominence under the name of Bohemian “Crystal”. In 1700 a system was perfected for the production of large sheets of glass by pouring molten glass. 1913 saw the initial production of drawn glass and, in 1916, the fi rst manufacture of “heavy gauge” drawn glass. The manufacturing of fi breglass commenced in 1936. In 1959, Sir Alistair Pilkington carried out the fi rst experiments with FLOAT GLASS. The name “FLOAT” comes from the English verb “to float” and derives from the fact that, at a certain point in the process, the ribbon of glass being formed fi nds itself fl oating on a layer of molten tin. This type of glass, which we use to this day, now constitutes the vast majority of the glass produced worldwide. The first company established by Vittorio Livi was “Fullet” to produce decorated glasses earmarked for the furniture industry. Then followed: Artiglass, Curvovetro, Cromoglass, Vellutart. 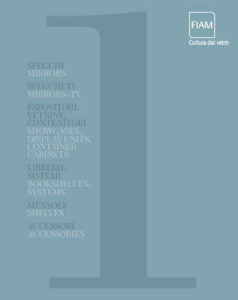 In 1973, while he was setting up all these companies, he established “Fiam Italia”, the first company able to perform curved glass furniture items, which most well known international designers cooperate with. 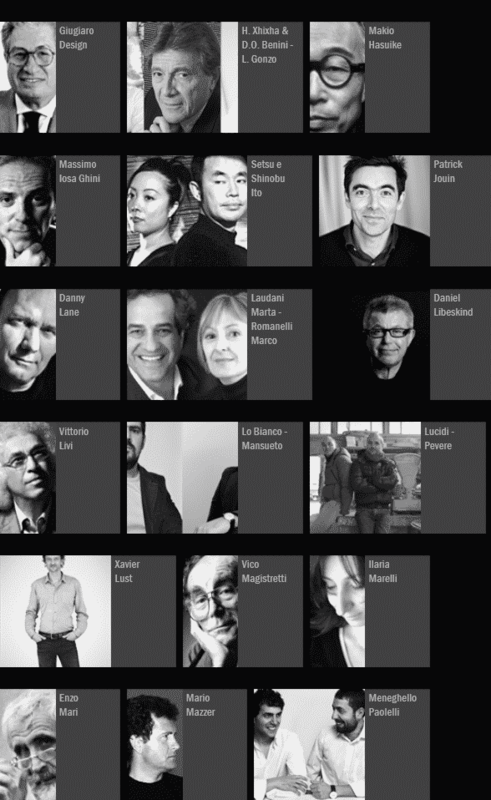 Among these there are: Giorgetto Giugiaro, Enzo Mari, Philippe Starck, Ron Arad, Cini Boeri, Vico Magistretti, Makio Hasuike, Doriana and Massimiliano Fuksas, Daniel Libeskind, Oscar Dante Benini and others. 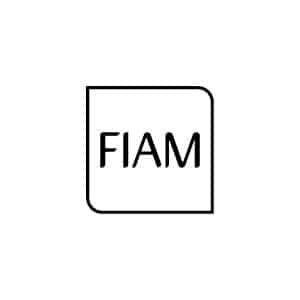 Fiam Italia, world-wide leader on one’s field, distributes its own collection all over the world and some of its products are hosted by 25 international museums. In 1988, together with Massimo and Alberta Ferretti, established the “Montegridolfo srl” to reorganize the homonym walled-in suburb dating back to VII century b.C., got to be crumbling, has been brought back to the ancient brightness. In 1992 he bought “Villa Miralfiore” Pesaro’s historical building dating back to 1260 that has marked the historical stages of these places by the nobles that have lived there. Meanwhile it got to be crumbling ,was recovered together with its own typical Italian garden. NEED MORE FIAM INFORMATION ?